Extend HDMI Signals up to a distance of 300 meter! 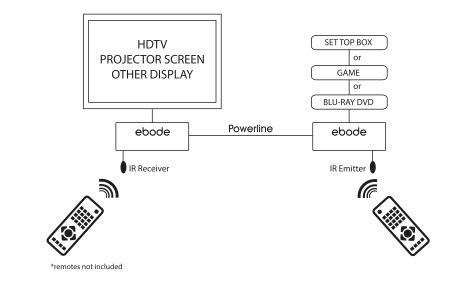 The ebode HD300PL HDMI over Powerline Extender transmits HDMI signals over the existing powerline. Simply extend HDMI signals up to a distance of 300 meters for sources such as HD STB, DVD, PS3, Blu-ray, HDMI display card and PC to HD projector, full HDTV and other HD devices.